Last few years a bunch of new HTTP headers were added to the web platform. The purpose of this blog post is to discuss the most critical headers from a security perspective. enables the XSS Filter. If a cross-site scripting attack is detected, in order to stop the attack, the browser will sanitize the page. enables the XSS Filter. Rather than sanitize the page, when a XSS attack is detected, the browser will prevent rendering of the page. enables the XSS Filter. If a cross-site scripting attack is detected, the browser will sanitize the page and report the violation. So if you try to load for example a HTML document as external script resource (the src attribute of HTMLScriptElement), the browser will refuse it. Required. The number of seconds that browser should force the connection over HTTPS. Optional. If present, tells to the browser that the policy applies to current host and to all host's subdomains. Optional. Not part of the specification. Few notes: IE 10 and 11 supports CSP through the X-Content-Security-Policy header; Safari 5.1 supported through the X-Webkit-CSP header. The Access-Control-Allow-Origin is part of the cross-origin resource sharing specification which we discussed recently. A Base64 encoded Subject Public Key Information (SPKI) fingerprint. The time, in seconds, that the user-agent should remember the host as a Known Pinned Host. An optional directive that signals to the user-agent that the Pinning Policy applies to this Pinned Host as well as any subdomains of the host's domain name. An optional directive that indicates the URI to which the user-agent should report Pin Validation failures. Public-Key-Pins: pin-sha256="d6qzRu9zOECb90Uez27xWltNsj0e1Md7GkYYkVoZWmM="; pin-sha256="E9CZ9INDbd+2eRQozYqqbQ2yXLVKB9+xcprMF+44U1g="; max-age=604800; includeSubDomains; report-uri="https://example.net/pkp-report"
Header set Public-Key-Pins "pin-sha256=\"d6qzRu9zOECb90Uez27xWltNsj0e1Md7GkYYkVoZWmM=\"; pin-sha256=\"E9CZ9INDbd+2eRQozYqqbQ2yXLVKB9+xcprMF+44U1g=\"; max-age=604800; report-uri=\"https://example.net/pkp-report\""
An empty string is considered to no referrer policy, i.e. referrer fallbacks to policy defined elsewhere. Means that no referrer information is sent along the requests. The referrer is sent to requests with better or same security (HTTP to HTTPS, HTTPS to HTTPS, HTTP to HTTP), but not less (HTTPS to HTTP). This is the default policy. The referrer header is sent only to same-origin requests. A request is with same-origin when the URL scheme, hostname and port of the source and destination matches. Browsers will always send the referrer header, but it will contain only the origin. The pathname and query string will be stripped-off. The referrer header consists of only the origin and is sent to requests with better or same but not less security. The referrer is always sent, but contain only the origin if a request is cross-origin. Otherwise, the full URL is sent. 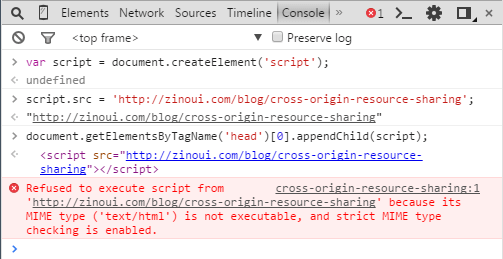 Browsers send only the origin as a referrer to cross-origin requests and the full URL to those with same-origin, but no referrer is sent to less secure destinations. A full URL, without parameters, is sent along both the same-origin and cross-origin requests. Certificate Transparency policy means that user-agents, e.g. browsers should block an access to a website with a certificate that is not registered in public CT logs (after October 2017). Omitting the enforce directive will make it work only in report-only mode. In the other side, the report-uri directive is meaningless when used together with the enforce directive. The time, in seconds, that the user-agent should regard the host received as an Expect-CT Host. An optional directive that indicates the URI to which the user-agent should report Expect-CT failures. An optional, valueless directive that, if present, signals to the user-agent to block future requests that violate the CT policy. Header set Expect-CT "max-age=7776000, enforce"
Any origin have an access to this feature. Only the same-origin have an access to this feature. This is the default behavior. None origin have an access to this feature. Only the specified origins have an access to this feature. Big players as Google+, Facebook, Twitter, LinkedIn use the above HTTP headers as an additional layer on a defence of their architecture. So it's strongly recommended the use of security HTTP headers to make your website safer and resist of attacks. Thanks so much for reading! If you have questions about HTTP security please drop a comment below. Don't forget to share too. Thanks to this blog entry. You solve all the query my mind about header security about most successful companies use this type of security. Thanks, Aditya. It's great to know you find my article about HTTP security useful. Thanks for such expert blog post. I need to implement all these headers in one of my PHP website. Can you please let me know how I can do this? If I send response header only via apache (.htacces) then would it be sufficient ? Or I need to implement other options as well. It means the examples above are showing different ways of doing this and we only need to integrate only one way. Hi Dimitar, thanks for the article. I have been using these headers for a while, but something completely passed me by - My apps use https and one day using fiddler I was initially surprised not to see my headers, but of course they are http. Does this mean I cannot have the same protection using https, or in some way do they still work in https? 1. Click Tools > Fiddler Options. 2. Click the HTTPS tab. Ensure the Decrypt HTTPS traffic checkbox is checked. Thanks for the blog post Dimitar Ivanov. It helped me a lot. Thanks for sharing this blog, so clear and descriptive example of each and every security http headers. It helps me a lot.